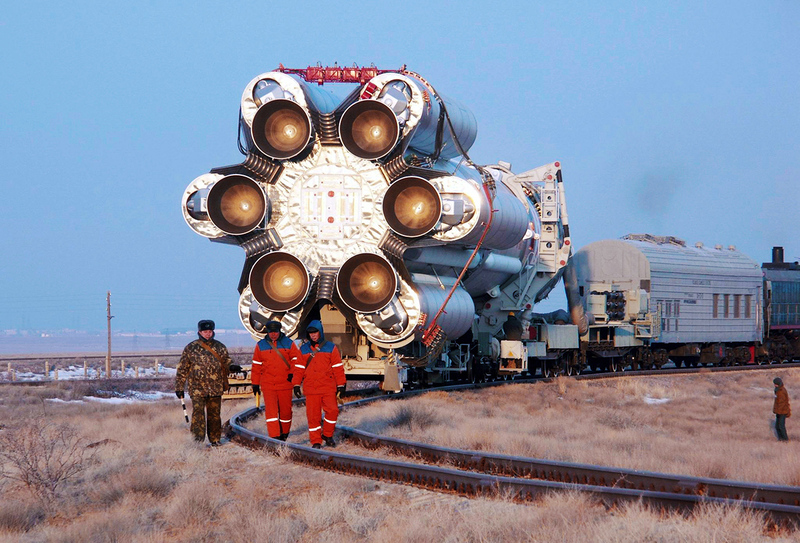 Roscosmos State Corporation has pulled all Proton-M vehicles from the launch schedule, and sent the engines back to the manufacturer for additional checks. Photo: Carrier vehicle Proton-M on the cosmodrome's launch complex. Baikonur, Kazakhstan. For the second time in two months, defects have been found in engines used to power Russian launch vehicles. Roscosmos State Corporation recalled all engines for inspection, which may delay some scheduled Russian space launches for up to six months. An inspection of engines that power the Russian Proton-M launch vehicles, which deliver cargoes to the International Space Station, has revealed a defect, Kommersant reported on Jan. 25. Investigators learned that the manufacturer used materials that lacked the proper precious metals, and were therefore less resistant to high temperatures. Roscosmos State Corporation has already pulled all Proton-M vehicles from the launch schedule, and sent the engines back to the manufacturer for additional checks. Ivan Moiseyev, head of Russia's Space Policy Institute, explained that Roscosmos did the right thing. It's not the first time that Russian launch vehicles have had engine problems. On Dec. 1, Russia lost the Progress MS-04 resupply ship due to an engine malfunction. The engines of the Soyuz-U launch vehicle, which suddenly disintegrated at an altitude of 115 miles, was built by the Voronezh Mechanical Plant (VMP). It also supplies engines for Protons. The inquiry put the blame for the Progress loss on VMP, leading to the resignation of its general director. All Soyuz-U engines were recalled for inspection. “In such instances, an inquiry board is normally set up to identify and eliminate the possible crash causes, and until these have been tackled there will be no further launches,” said Moiseyev. Roscosmos reported on Jan. 25 that it was carrying out “a thorough quality inspection” of the entire Proton-M system, including “those parameters which had been overlooked for decades.” This also applies to the VMP engines. Moiseyev said checking the Proton engines may take around six months, and during that time there will be no Proton launches. The next Proton launch is not likely to happen until early summer. Kommersant reported that Proton vehicles were initially expected to be used in at least eight out of the 27 Russian space launches scheduled for 2017. Moiseyev added that the rocket's type and payload capacity is unique to each lunch, meaning that replacement of the scheduled Protons will be impossible. Roscosmos spokesman Igor Burenkov told Kommersant FM radio that the corporation would suffer financial losses due to the cancelled launches. Still, he emphasized that Roscosmos’s priority was, “identifying the cause [of the malfunction] while still on the ground.” The current launch schedule will be revised within several weeks. The VMP engines for Protons will be inspected by Energomash Corporation. Energomash CEO Igor Arbuzov told Kommersant that the company’s subsidiary,Chemical Automatics Design Bureau, originally developed the Proton engines, so it can carry out the extra inspections.